As months go, January always gets a bad rep. The come-down from Christmas is tough (buh-bye cheese and biscuits for breakfast), it’s cold, it’s dark, your bank balance is more than a bit battered and the callous ‘new year, new you’ message that pops up everywhere you look starts to get old real quick. Yet these few weeks do have one thing going for them – the sales. You may think the wedding industry is exempt from this particularly sweet consolation prize, but you’d be pleasantly surprised how many deals and discounts are up for grabs, especially at bridal boutiques. Hold onto your (half price) veils, kids: we’re going in. First, there’s Glasgow’s Glitterati. 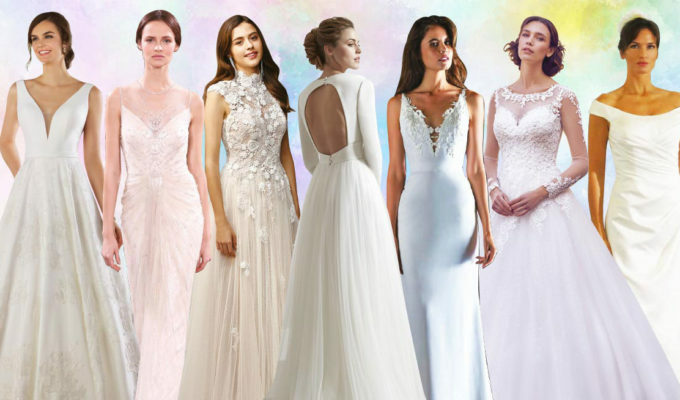 “Our sample sale kicked off on 5th January, with exclusive bridal styles all heavily discounted at half price or less,” the boutique’s Moira Withers reveals. “And there’s still plenty left! Seize the opportunity to pick up a designer gown for a fraction of the cost.” What if you spot a brand new gown in store that steals your heart instead? 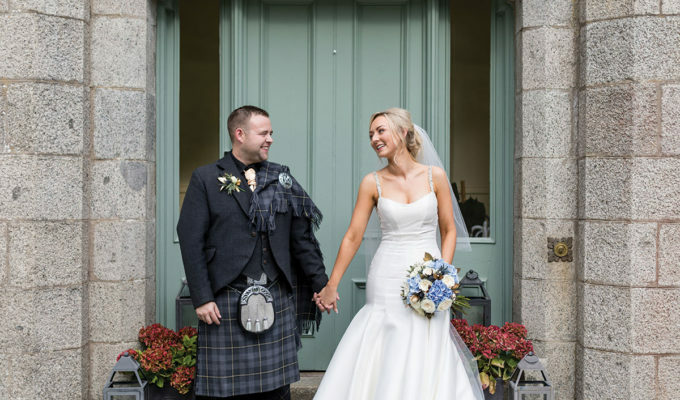 “Bring your copy of Tie the Knot Scotland along to the boutique to also claim 10% discount off the current collection this January,” Moira adds. 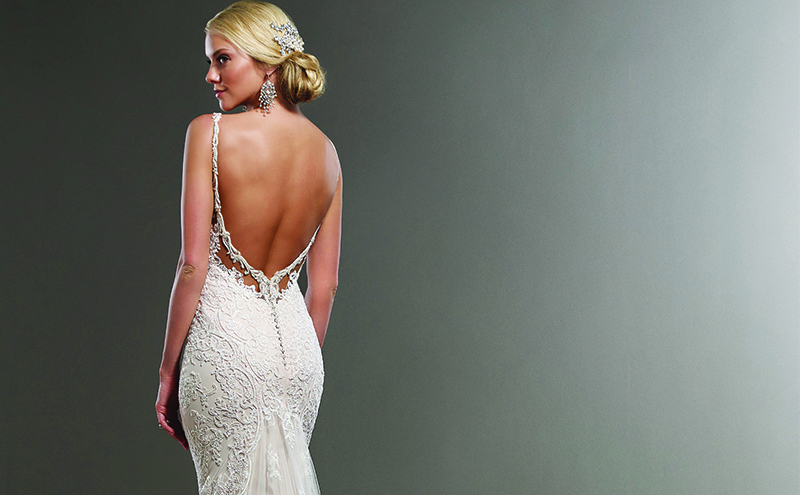 Over in Edinburgh, Pan Pan Bridal has a date for your diary. “We’re having a massive sample sale for one week only, starting from 25th January,” says Huda Abdulgader. “It’ll include fantastic, well-respected designers like Jenny Packham, Martina Liana, Badgley Mischka and many more.” Martina Liana’s style 744 (below) layers lace over satin to create a seductively curvaceous silhouette with a delicate open back and will be available at 50% off its recommended retail price (a cool £1,899 originally). This one is a size 12, but there’s no shortage of stock in various sizes for you peruse and try on (we hear the Jenny Packham styles are something seriously special). Meanwhile, at The Finer Detail, the team have a significant birthday to celebrate. “This January marks our tenth anniversary,” says owner Karen Wright. 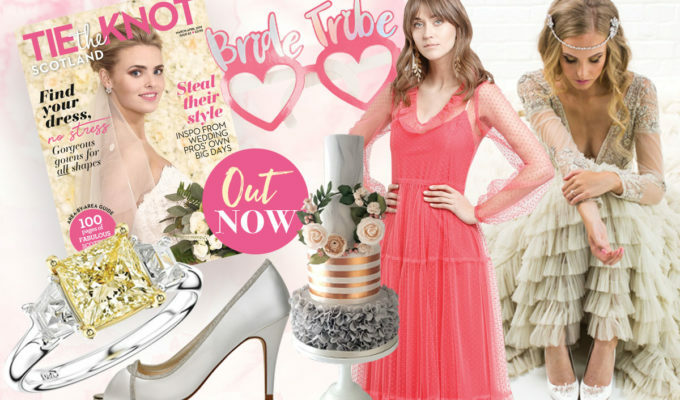 “We have a brilliant offer running throughout the month, with savings of at least 10% for every bridesmaid order placed (namely, 10% off one or two adult dresses, 15% off three or four adult dresses or one free for every five adult dresses). 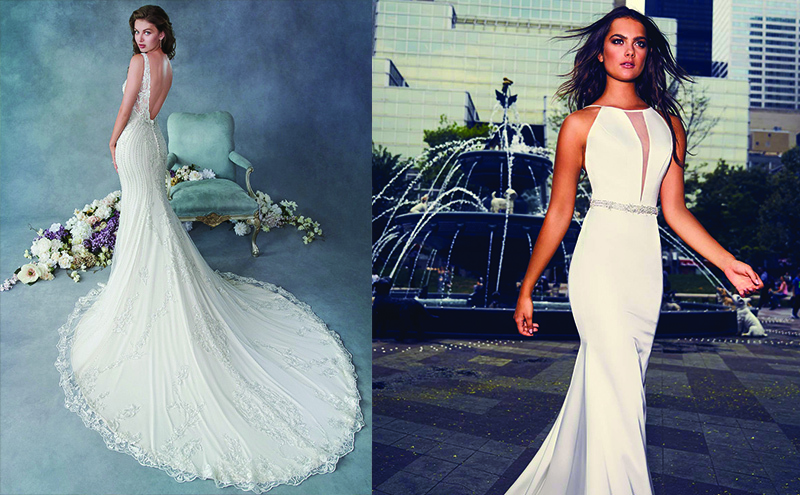 Plus, we have 10% off all bridal orders at our sister boutique, The Bridal Suite, and a sample sale running between 21st-23rd March.” You’d be mad not to hook your girls up with some sassy Sorella Vita numbers (top, styles 9132, 9150 and 9026, all £POA) and have a browse for yourself. Consider those January blues blasted.